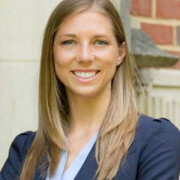 Colleen Harmeling is an Assistant Professor of Marketing at Florida State University. Before joining Florida State University, Colleen was a Postdoctoral Research Fellow for the University of Washington’s Center for Sales and Marketing Strategy. She received her Ph.D. in Marketing and International Business from Saint Louis University in 2014 and her M.B.A. from the University of Tampa in 2006. She joined the research team at the University of Washington in August of 2014. Before entering academia, Colleen worked as the community relations manager for Barnes and Noble where she specialized in event marketing, sales management, customer relationship development, and government contracting. Colleen has additional experience working in non-profit marketing, sponsorship management, and trade show marketing. Colleen’s research focuses on customer relationship development, managing key events, and facilitating customer engagement and brand advocacy. Colleen’s research has appeared in peer reviewed marketing journals and has been presented at numerous marketing conferences. Colleen has taught numerous undergraduate and graduate marketing courses including Marketing Strategy, Marketing Management, Consumer Behavior, and Market Research.